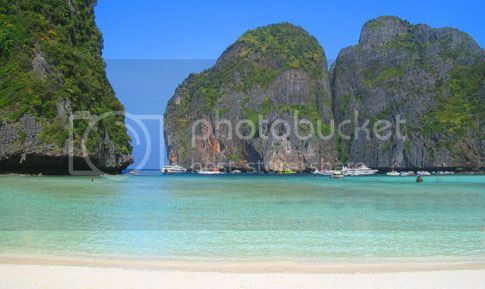 Southeast Asia is truly one of the most stunning and exotic areas of the world you can visit on a vacation. The dramatic scenery, charming people and picture-perfect beaches are some things you’ll be looking forward to when visiting Southeast Asia. Phuket boasts without a doubt, some of the most beautiful beaches in Asia, and Patong beach is probably the king of all party beaches in Thailand. Patong Beach boasts a stunning 2-mile long stretch of gorgeous white sandy beach, dozens of international hotels, and a bustling nightlife district (Bangla Road). If you’re looking for a party beach or tourist beach with a party atmosphere, you’ll definitely find it in Patong Beach, which boasts dozens of go-go bars, pubs, discos, karaoke bars, and more. Pasir Panjang beach is located in Redang Island and has to be one of the best beaches in SE Asia for a snorkeling vacation. Pasir Panjang boasts white sand, and amazingly crystal clear shallow waters. Pasir Panjang boasts dozens of great snorkeling spots (such as Tanjung Mak Cantik) with beautiful reefs teeming with black-tip reef sharks and colorful fish. As far as places to stay, you’ll find small and large resort such as the Laguna Redang Beach resort, which is the most popular all-inclusive resort in the island. Jungle Beach is one of the nicest beaches you can visit in Vietnam for a low-key and romantic vacation with a loved one. If you’re a fan of quite homestays, you’ll find Jungle Beach (which is a beach) resort a nice place to stay because of its secluded location. Jungle Beach is surrounded by luscious green trees and mountains, and it’s practically hidden from Vietnam tourist and backpacking trail, which is good news for non-backpackers. Otres Beach is easily of the prettiest beaches in Sihanoukville and it’s by far one of the best beaches in SE Asia to go to on a budget. Otres is sometimes compared to Ochheuteal beach because of similar tourist infrastructure consisting of guesthouses and restaurants. 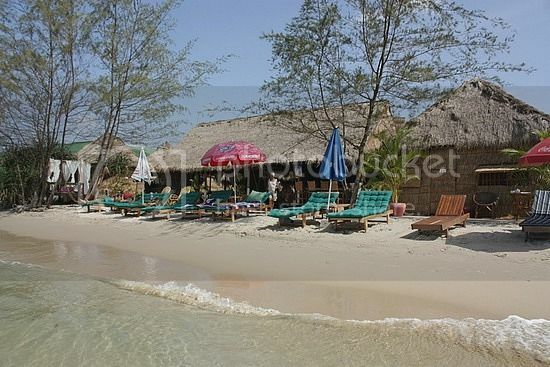 However, Otres beach is definitely one of the less touristy beaches in Sihanoukville (if not of all Cambodia), and one of the cheapest places to find accomodation. Rooms in most guest houses in Otres beach start from as little $10 a night, though if you're a backpacker you can do beach camping at the Golden Sunset for just $5 a night. Teluk Nipah is one of Southeast Asia’s most popular tourist beaches to visit because of its pristine natural setting and stunning sunsets. Teluk Nipah’s waters are calm, shallow and teeming with beautiful corals, which makes this beach a perfect spot for avid snorkelers. 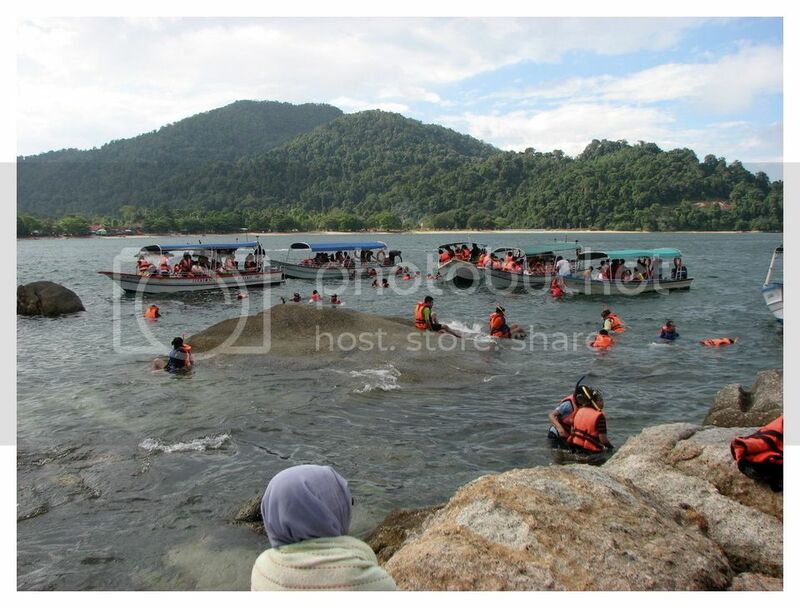 Another great thing about visiting Teluk Nipah or any other beaches in Pangkor Island is the opportunity for day trips to mainland Peninsular Malaysia where you can visit Kuala Lumpur tourist places. In fact, to get to KL you can cheaply fly there domestically, or catch a ferry ride to Lumut and then bus it to Kuala Lumpur. White beach is located in Boracay Island, which is one of the most beautiful places in the Philippines to visit on a vacation. 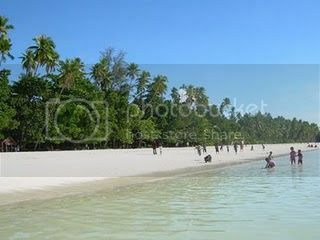 White beach boasts a dramatic three-mile stretch of powdery white sand with warm and turquoise waters. White Beach is definitely one of the nicest beaches to go to in the world for getting a tan, relaxing by the sun, and enjoying fun water activities such as snorkeling and bottomless boat rides.